FOR ITS PRESENTATION near the end of the men’s fashion shows in Paris last week, French label Jacquemus invited editors and buyers to a midmorning feast at the Palais de Tokyo art museum. Guests mingled, munching on croissants and sipping coffee. Eventually, models joined the breakfast party, marching in their pocket-heavy work coats and wool suits over to the table, where they too began eating away. The clothes felt almost beside the point, as Jacquemus gave us a meal with a message: A jacket is important, but if you can’t live in it, break bread in it, then what’s the point? Many designers showing in Europe over this past month appear to have taken that lesson to heart. 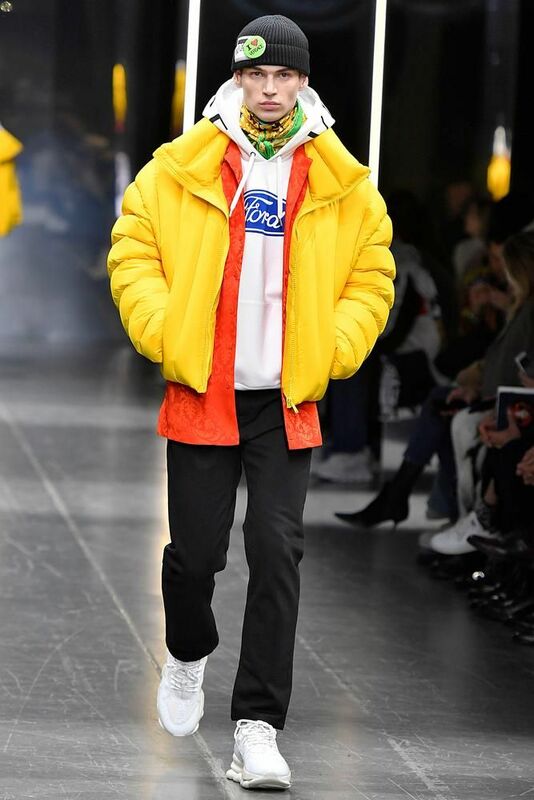 After a few years of prioritizing look-at-me streetwear, including exaggerated sneakers and cartoonish, oversize outerwear, the most noteworthy brands showed more-or-less-plausible everyday looks for fall 2019. From the cozy, knitted sport coats at Junya Watanabe to the cold-combatting quilted jackets at Dries Van Noten, to the sharp suiting at Emporio Armani (with ties!) the overall theme was just great, wearable clothes. Novel? No. Welcome? You betcha. 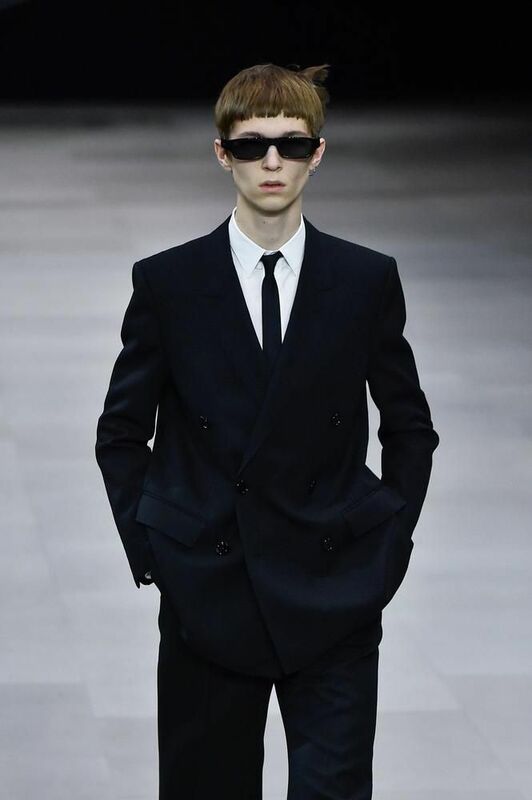 Leading the charge were two notable designers staging their menswear debuts for legacy luxury brands: Hedi Slimane at Celine and Clare Waight Keller at Givenchy, both of whom showed neat, accessible collections. There were still plenty of theatrics to satisfy the more drama-inclined fashion fans (a noise-punk band at Comme des Garçons, a dramatic curtain reveal of the Eiffel Tower through a window at Ami) and some questionable trends (shirts with elephantine sleeves at Loewe and floor-length fur coats everywhere) but overall, in the war between fashion and function, function mercifully won the day. Designers this season thought inside the box to great success. 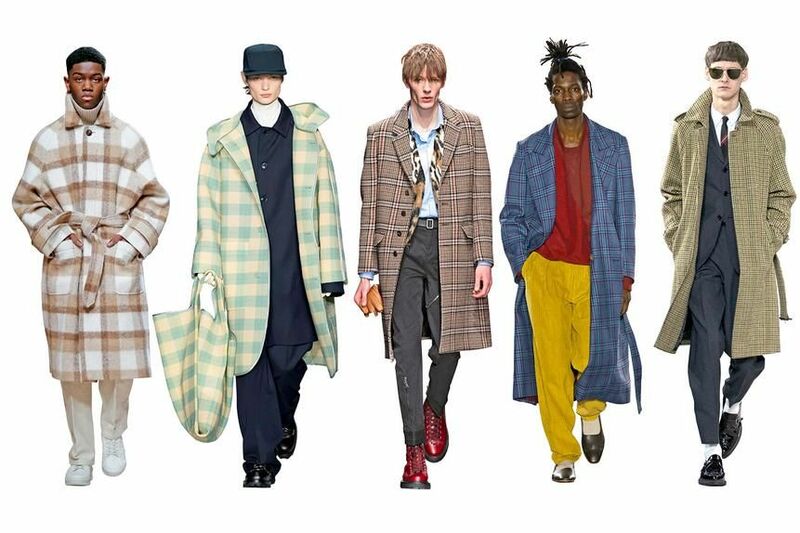 Plaids were gladly observed in a range of scales and sizes, but worked best on elongated overcoats for a suave Massachusetts-meets-Milano effect. From left, intersecting stripes on blanket coats at Ami and OAMC; natty squares at Neil Barrett; a blue-plaid number from E. Tautz; a tight houndstooth-blended motif at Celine. Even the trickiest trend becomes wearable in this subtle shade. 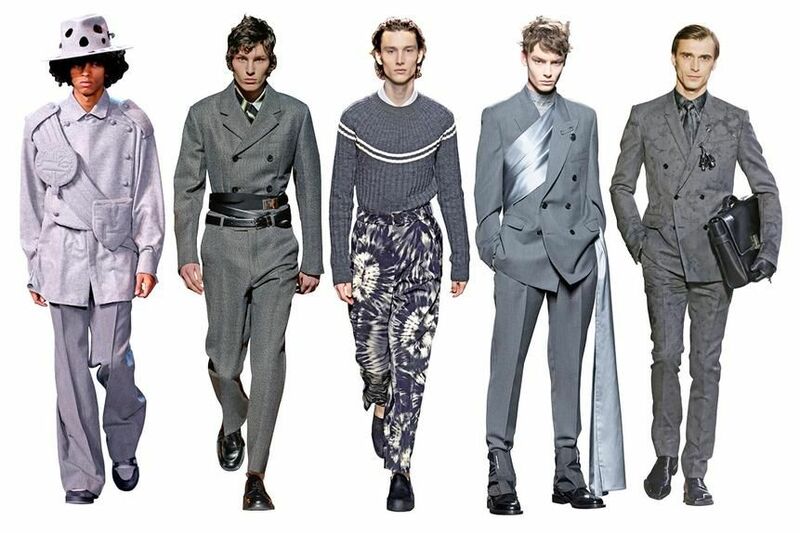 At Louis Vuitton, a naval get-up in cotton and cashmere; Prada’s high-and-tight double-breasted suit; Dries Van Noten’s toned-down tie-dye trousers; Dior’s scarf-wrapped double-breasted jacket; Berluti’s splotchy suit. 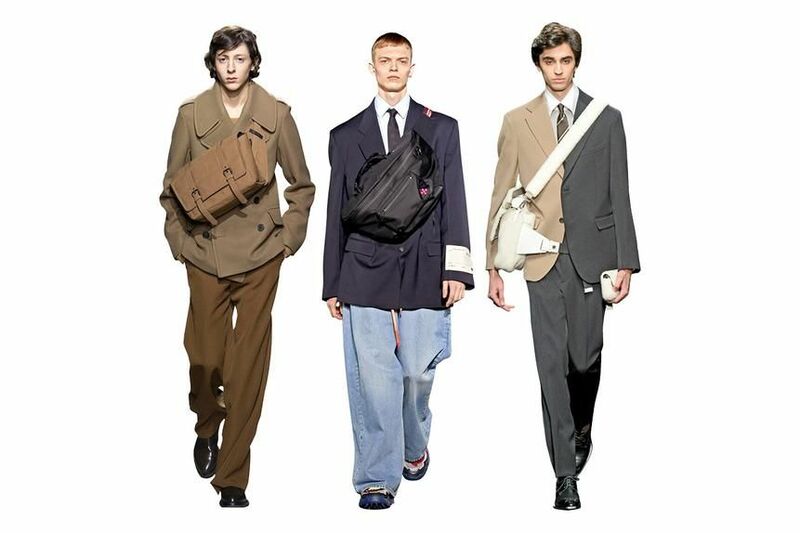 Cross-body bags have become a significant trend for streetwise guys the world over, but now the bags are growing to a more practical size. From left: Dries Van Noten’s capacious satchel; Off-White’s massive shoulder bag; Fendi’s dual-strap messenger. 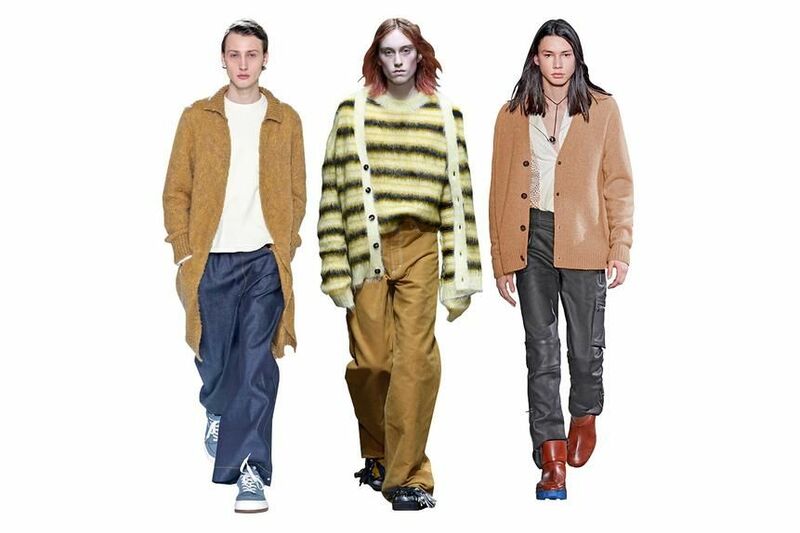 Though only one runway show (OAMC in Paris) adopted Nirvana as its soundtrack, 90s-grunge looks boomeranged back into prominence, particularly the Grandpa cardigans Kurt Cobain favored. From left: Sunnei’s super-slouchy sweater; a boldly striped take at Marni; Acne Studios’s tan version. 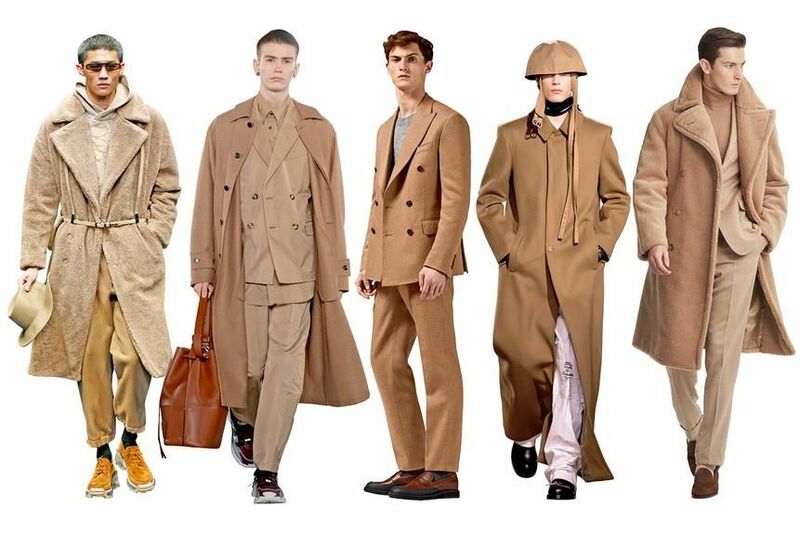 Camel shades are a menswear staple, but this fall, designers stretched the tan monochromatically from head to toe. From left, fuzzy layers at Emporio Armani; a fluid ensemble by Valentino; a neat suit at Tod’s; Raf Simons’s maxi duster; Ralph Lauren’s cocoa coat. 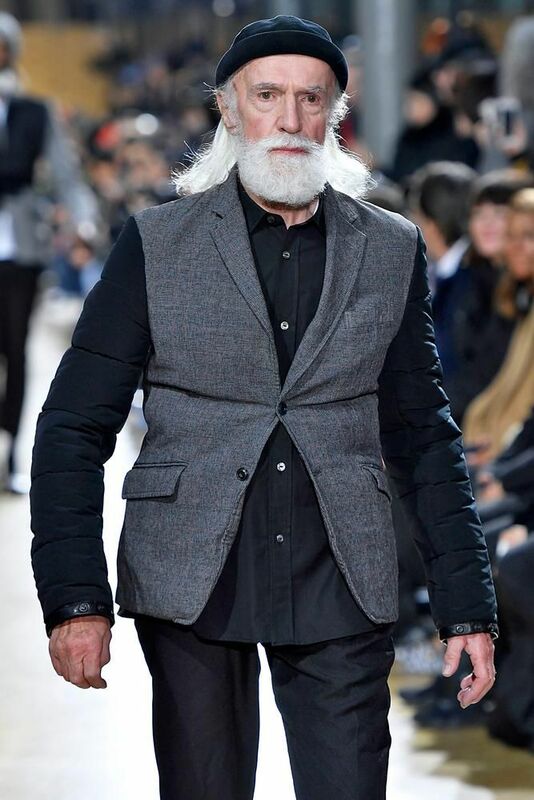 Rather than baby-faced models, Japanese designer Junya Watanabe cast a parade of elegant gray-haired gents in his show. , splicing the American company’s iconic blue logo onto sweatshirts and jeans. Time to take the tie off the bench. Labels like Celine make a compelling case for turning the “Vacancy” sign off on your collar. 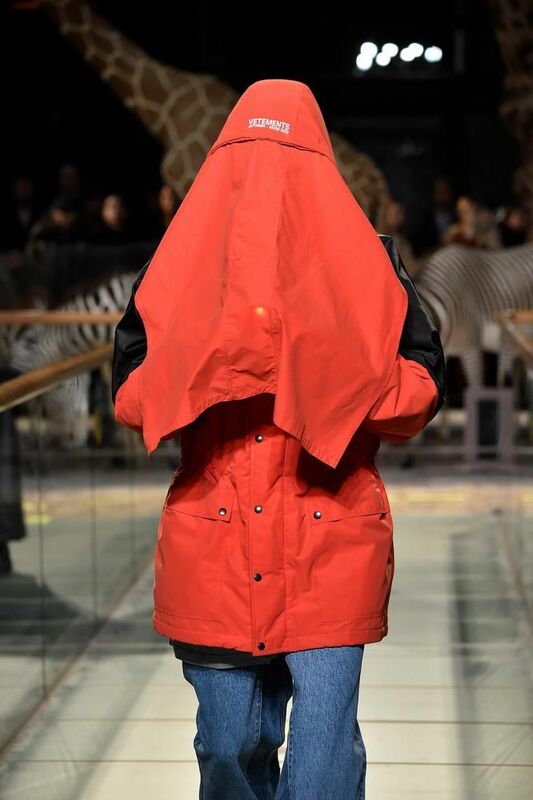 Disruptive design collective Vetements sent out some models wearing shroud-like hoods intended to allow for private texting. 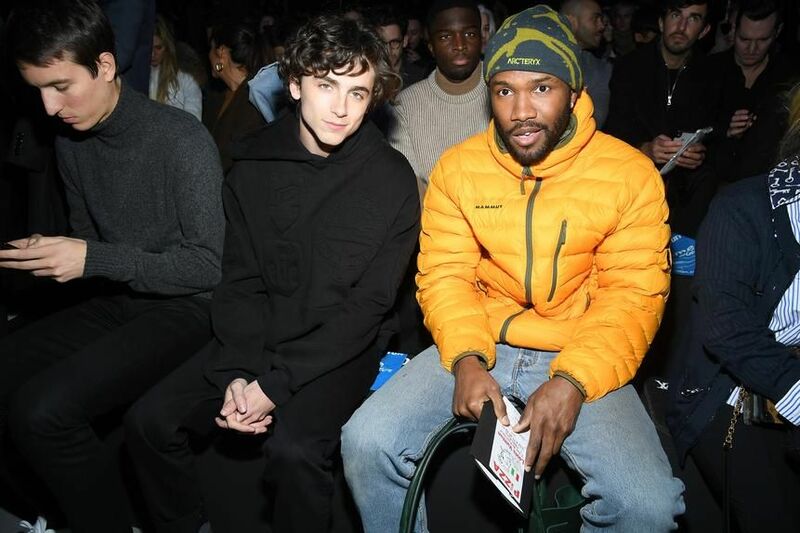 Before the Louis Vuitton show, photographers rushed to snap millennial icons Timothée Chalamet and Frank Ocean sitting together.